Small businesses tend to be nimble and agile. They can adapt to changes quickly, and implementing new technology is fairly easy because there are not as many burdensome and expensive systems already in place. For those reasons, small and medium-sized businesses were early adopters of cloud software. Big businesses don’t always have the same luxuries. Transitioning to the cloud is more complicated when you have legacy systems in place. In many cases, hundreds of thousands of dollars have gone in to on-premise hardware, systems and data centers. Large companies don’t want to just throw all that away, despite the benefits of moving to cloud software. 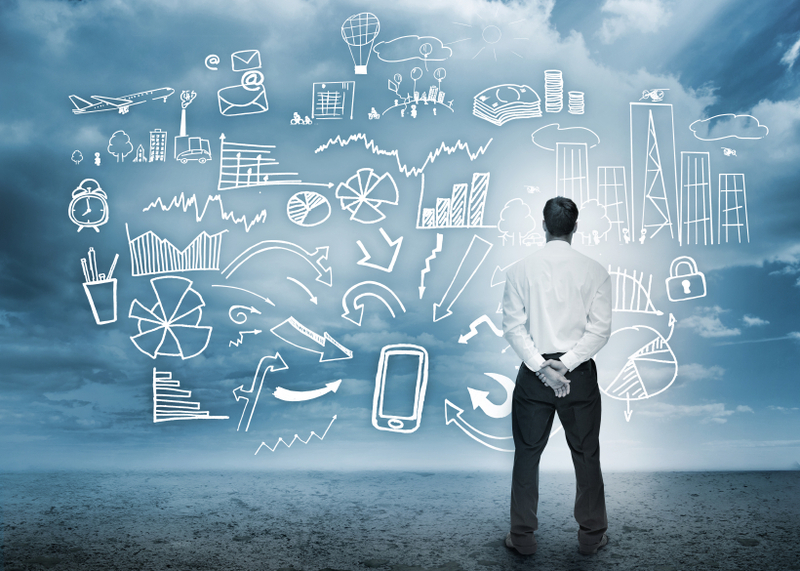 When Is It Time to Transition to the Cloud? For large companies, transitioning to the cloud is often a slow process. A lot of serious decision making goes in to when and how to start making the transition, and how to carry it out. For most enterprises, the transition starts with adopting cloud business applications here and there. When it’s time to introduce a new application, most of the time it’s in the cloud. But that doesn’t mean abandoning existing business applications that run on your own hardware. Where the decision gets more complicated is: When is it time to transition existing or legacy software, applications and infrastructure to the cloud? How do you know when the existing tools have outlived their useful lives or fulfilled their ROI? If you’ve invested heavily in data center technology, will it ever make sense to switch over to Infrastructure as a Service (IaaS)? There are no simple answers to these questions because no two companies have identical IT infrastructure. Most enterprises are still in the early stages of cloud adoption, and most are focusing on hybrid cloud for now to combine the best qualities of both – the control and security of private cloud and the flexibility and efficiency of public cloud. (More on that here from TechTarget. As you’ll read, there are multiple ways to go about that, too.) Yet, very few big companies are running a large portion of their IT in the cloud now. The decision to move mission-critical systems to the cloud is a juggling act because it involves many considerations: estimated cost savings, difficulty of the transition, lifespan and usefulness of existing systems, security, reliability concerns and more. If it were an easier decision, more companies would already be almost exclusively in the cloud. However, it can be done. If you’re skeptical, check out this CIO Journal piece on a large company that did it. Despite some challenges, the company said the value of cloud made it worthwhile. When Will Cloud Be the Norm? No one knows exactly how long it will take for cloud to become the norm, but a recent study suggests the transition is well underway. This is not the first study, by far, to make that claim, and the results won’t be shocking to most. But it’s another data point that confirms what most of us see coming. Verizon’s State of the Market: Enterprise Cloud 2014 incorporated data from a variety of sources: Verizon’s enterprise cloud customers, outside analyst firm 451 Research, and other third parties like Gartner, IDC, Accenture and Forrester. The data from 451 Research showed that 65 percent of enterprises are deploying some form of cloud computing now. Spending on those services has increased 38 percent over the year. More than 70 percent of enterprises said they plan to use cloud for external-facing operations by 2017. Also telling: Companies that are already using cloud in some capacity said they planned to spend 54 percent of their IT budgets on cloud services over the next two years. That does suggest a clear shift to mainstream. Kunnect sells 100% cloud-based call center software that includes a predictive dialer to businesses and political campaigns. Our software, hosted seamlessly in the Amazon platform, manages all inbound and outbound calling for a flat rate of $125 per agent per month with a flat deposit of $125 per user. There are no hidden fees. In addition to the predictive dialer, features include: inbound and outbound calling, CRM integration, call scripting, call recording, ACD, skills-based routing, IVR, live monitoring, real-time statistics, historical reporting and more.